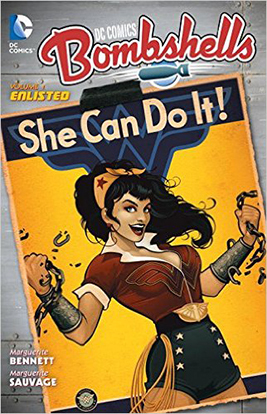 I’m still digging the DC Bombshells series, although I have to admit that Volume 2 didn’t captivate me quite as much as the first volume did. I’m not sure what the problem was this time, but I found myself struggling to stay focused on the stories. The pacing is a bit slow, I suppose, but I attribute that to the fact that there are so many different threads weaving their way through the story. There are quite a few Bombshells whose stories must be told. That causes some delay. Plus, this volume contained a side story that tangentially tied in with one of the Bombshells, but rather stiltedly. I personally could have done without the story at all, but I’m assuming that it might tie in more solidly at a later time. I do like that the threads are now coming together and the team is starting to solidify. 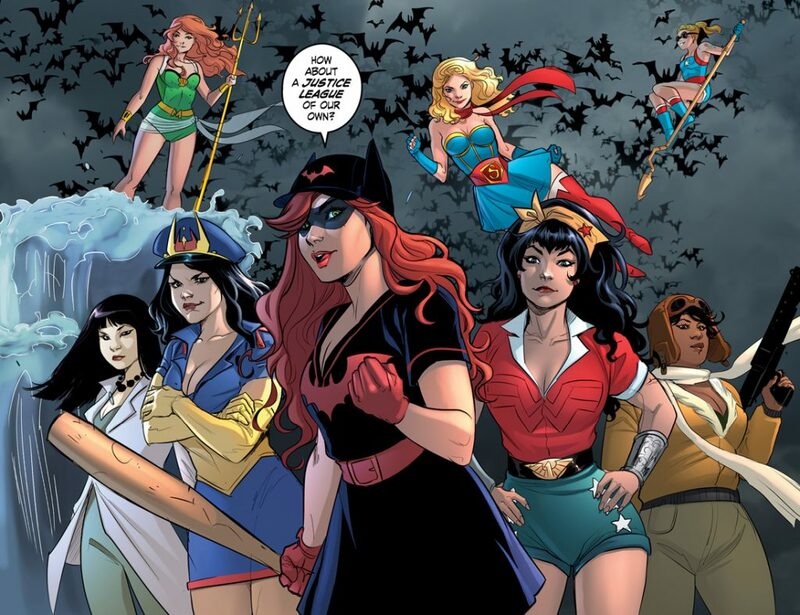 I love that Batwoman remains a strong member of the team. I’m so excited that DC is going to resurrect her solo line with the Rebirth series they’re doing. 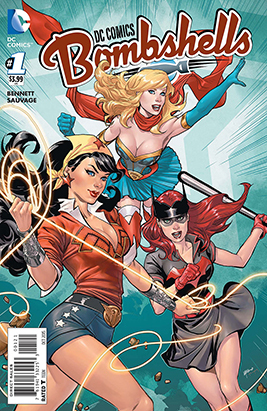 I can’t wait to get my hands on the first graphic novel collection (ditto with Wonder Woman and Supergirl)…in the mean time, though, I find Kate Kane’s story arc in the Bombshells universe to be an adequate filler until the main event returns. I’d also like to learn more about Big Barda and Doctor Light. Let’s just say that their appearance in this volume…piqued my interest. Oh, the artwork once again is exceptional. There’s nothing more disappointing than lackadaisical art. It will yank me right out of a graphic novel and leave me unable to enjoy the story, even if it’s the best writing imaginable. Marguerite Sauvage, Laura Braga, and Mirka Andolfo are all solid illustrators, though, proving that they can provide strong and satisfying visuals to support Bennett’s stories. Plus, when you get powerhouse panels like this one, what is there not to love? Final Verdict: Still in it to win it with the Bombshells. I’ve already marked the third volume for acquisition.